Two Carnegie Mellon University professors have joined the likes of Alexander Graham Bell, Thomas Edison, Albert Einstein and Jane Goodall. Edmund M. Clarke and Mark H. Kryder have been named by the Franklin Institute in Philadelphia as recipients of its annual awards honoring leaders in science, engineering, technology and business. The program preserves Benjamin Franklin's legacy. Clarke is the recipient of the 2014 Bower Award and Prize for Achievement in Science, and Kryder is the recipient of the 2014 Benjamin Franklin Medal in Electrical Engineering. "Mark Kryder and Edmund Clarke have each made distinctive and important contributions to information technology in our time, and they have each had a transformative impact on the way computer hardware, software, and systems are designed and developed. Carnegie Mellon is very proud that two of the university's outstanding faculty members are being honored in the same year by an institution with the global stature of the Franklin Institute," said CMU President Subra Suresh, who received the 2013 Benjamin Franklin Medal in Mechanical Engineering and Materials Science. Clarke, the FORE Systems University Professor of Computer Science and professor of electrical and computer engineering, is being honored "for his leading role in the conception and development of techniques for automatically verifying the correctness of a broad array of computer systems, including those found in transportation, communications and medicine." 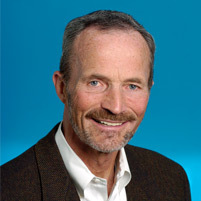 Clarke has previously won the A.M. Turing Award, computing's highest honor. The Bower Award and Prize includes a gold medal and a cash prize of $250,000. Kryder, University Professor of Electrical and Computer Engineering, is being recognized along with Shunichi Iwasaki of Japan's Tohoku Institute of Technology "for the development and realization of the system of Perpendicular Magnetic Recording, which has enabled a dramatic increase in the storage capacity of computer-readable media." 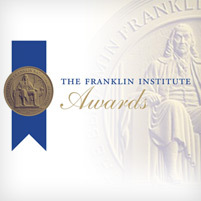 Kryder and Iwasaki are receiving one of six Benjamin Franklin Medals awarded in 2014. Other medal winners are being recognized for leadership in chemistry, earth and environmental science, life science, mechanical engineering and physics. Clarke, Kryder and fellow honorees will receive their awards at a ceremony and dinner on April 24, 2014 in Philadelphia. It culminates a weeklong series of events and activities that connect laureates with students and the community. In addition to Clarke, Kryder and Suresh the institute has recognized three other CMU faculty. 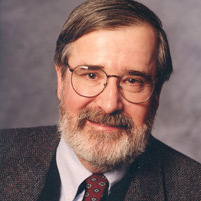 John R. Anderson, the R.K. Mellon University Professor of Psychology and Computer Science, was the recipient of the 2011 Benjamin Franklin Medal in Computer and Cognitive Science; and Takeo Kanade, U.A. and Helen Whitaker University Professor of Computer Science and Robotics, was the recipient of the 2008 Bower Award and Prize for Achievement in Science. The late Allen Newell, a Carnegie Mellon computer scientist who helped found the fields of artificial intelligence and cognitive psychology, received the institute's Levy Award in 1992 "for development of languages and architecture to make computers intelligent." Stuart K. Card (TPR'70, HS'78) received the 2007 Bower Award and Prize for Achievement in Science.